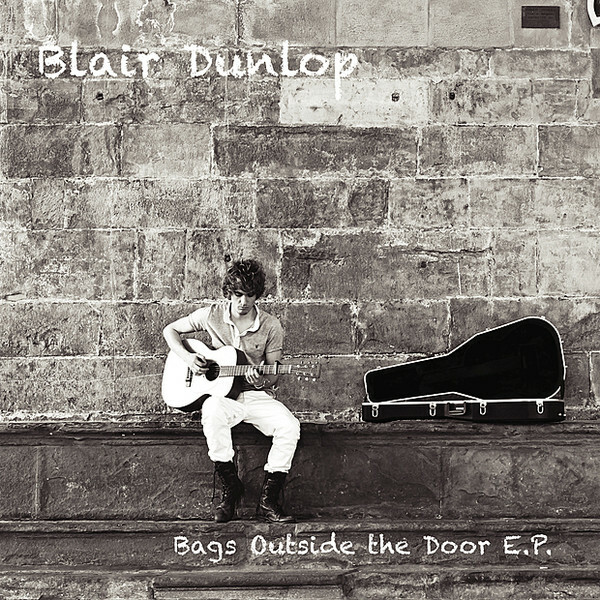 Bags Outside the Door is the title of a 5-track EP by a remarkable talent – Blair Dunlop. A guitarist of outstanding ability, a singer with an attractive and emotional voice, and an actor who has, among other things, starred as Young Willy Wonka to Johnny Depp’s grown-up Willy in the blockbuster movie “Charlie and the chocolate factory”. Blair’s new release is, in effect, full of live studio performances. He effortlessly replicates onstage performances, singing and playing some of his compositions. And what maturity he shows in his songwriting. There’s also a finger-busting instrumental and a beautiful, moving version of an rare English folk-song. Allied to young film-star good looks and an infectious, engaging personality, no wonder some top musicians and singers have dubbed him “A star in the making”!